'Cause your friends don't dance and if they don't dance, well they're no friends of mine. And this guy is reigning Safety Dance Champion 1996 - 2004 inclusive. No reckless car driver is going to get away with the old, "But I didn't see him, Officer!" if this dude can help it. 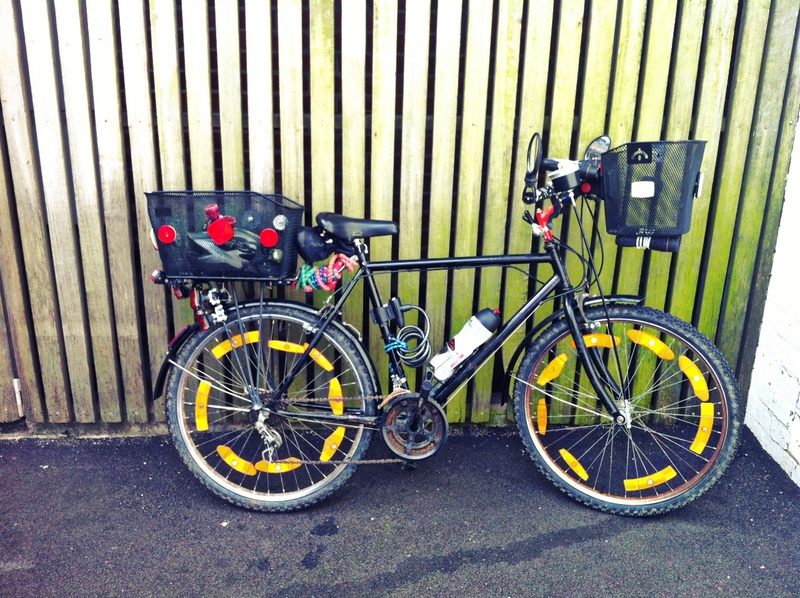 I often see this bike outside the supermarket in Ulverstone or riding up a side street. It's the kind of bike that makes me instantly respect the rider. A bike that says, "IDGAF what you think, I just came here to buy toilet paper in all potential lighting conditions." Dance on, my friend. Dance on. Hello from a fellow fat bottomed girl in Sheffied, UK. I've just spent and hour reading your blog post and enjoyed it, so thank you. 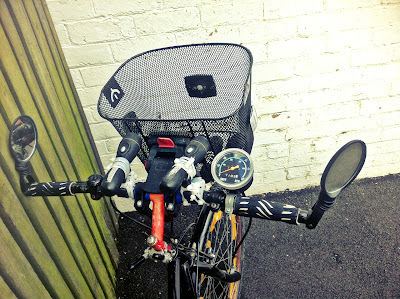 I recently completely covered my everyday bike in reflective tape. 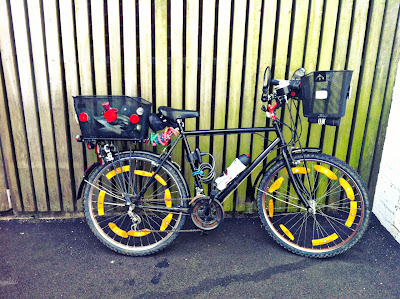 I hope it icreases my visibility, but also it looks a bit of an eyesore so hopefully deters bike theives! I love finding new ways to reflect. I like to have lots of lights also. My Mum told me once that she just happened to see me out on the bike and I looked like a christmas tree!